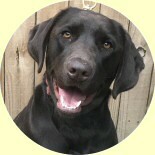 All of our Labrador Retriever breeder stock have OFA good or excellent hips and current CERF eye clearances. Sires are field-titled dogs with top quality pedigrees. Our knowledge of the sire's pedigree ensures freedom from genetic defects. Many dogs are titled in conformation and field. Our Dams are exceptionally well-bred dogs with impressive pedigrees. Some are in training for titles or titled themselves. They are sound in mind and body and even-tempered to impart those qualities in their puppies. 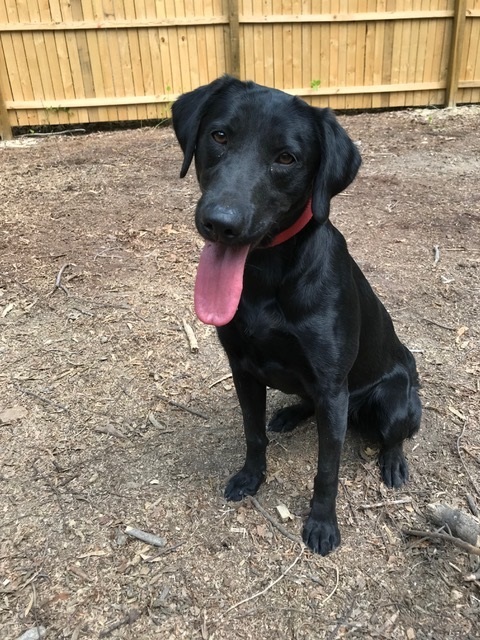 Rocket is our 2 year old black lab. She weighs 59lbs and is solidly built. 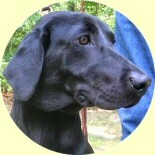 Rocket has the most beautiful black silky coat along with a stunning body structure. Her name does her no justice when it comes to how fast she can run. She loves people, when in contact with a human she has to give everyone a "kiss" on the hand. She is one of the most social dogs we own, as she has never met a stranger. She is in training now for her junior title. Her puppies should be great in a duck blind or on the sofa. 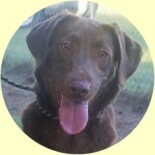 Ellie May is a beautiful dark chocolate female with the most amazing hazel eyes. 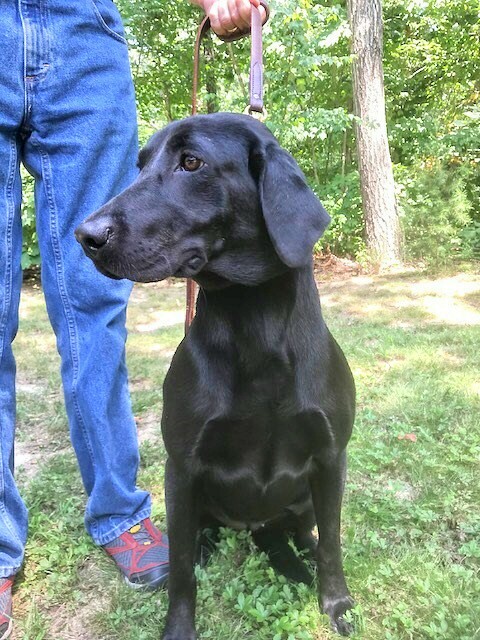 At two years old Ellie has a great body structure, very solid and strong. Ellie is a sweetheart looking for love from anyone she meets. Her pups should become beautiful, well built dogs that anyone would be proud to have by their side. See another picture of Ellie May. 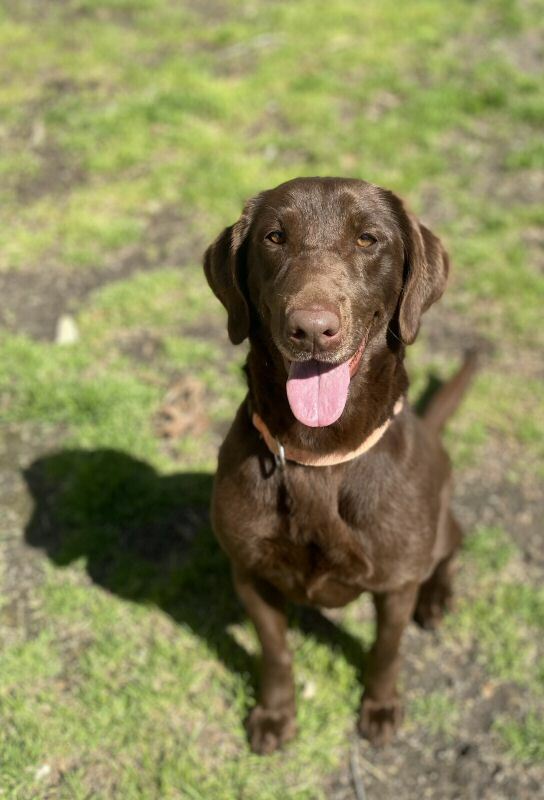 Venus is a perfect example of an Chocolate American Labrador. She is a beautifully built two year old with an impressive pedigree. 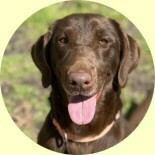 As a senior hunter Venus is a smart girl and a fast learner with the passion to please and retrieve! Besides retrieving Venus is a incredible lover. She would be just as happy getting lots of belly rubs on the sofa as she is retrieving ducks. We believe her pups will make great pets, ready for the outdoors or the sofa. 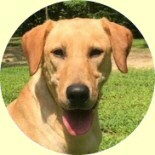 Rimi is our beautiful 62 pound yellow female. She comes out of sire Black Points Cash Money and dam Bettiegrue’s River. She is a wonderful combination of a companion and hard worker. Her pedigree has a long line of hunt test champions. She is one of the most talented yellow girls we have in our breeding program. Her certifications are ofa Hips are good, Ofa Elbows are Normal, DNA tested clear for EIC and CNM. She is a very loving girl with a great attitude. She is always ready to work and to just hang out by your side. 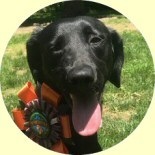 Remi loves retrieving on the water and is our fastest swimmer! 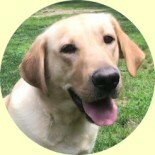 Miller is our three year old yellow lab. 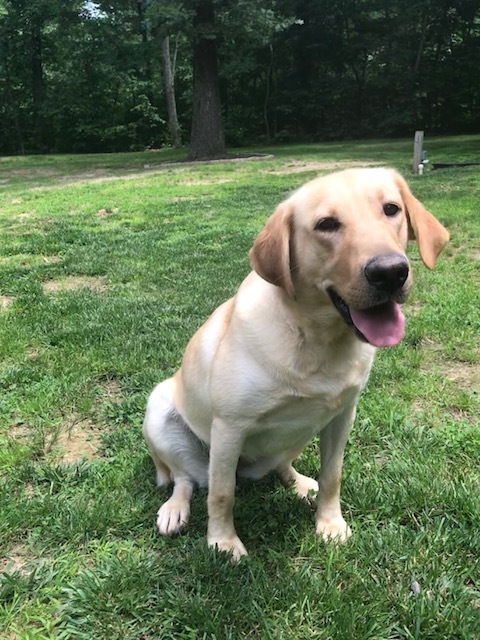 Weighing 60 pounds Miller is a beautifully built dog and extremely smart. 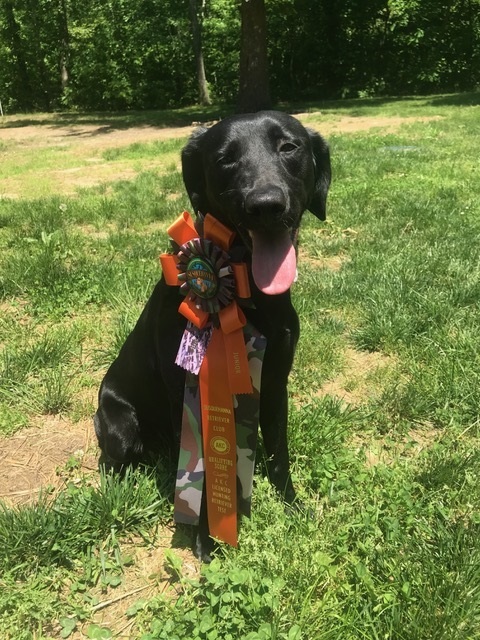 She will be training and competing for her Senior Hunter certification this fall. She has a unique "on/off switch", which means she can lie around the house loving your attention and then go outside for some serious training. Miller comes from a excellent bloodline and is one of the better bred dogs we own. She has excellent hips and normal elbows, and is clear of EIC and CNM. Her puppies should make great companions and have the ability to perform at a high level in the field if desired. See Miller's complete files. Her pups should make great companions and also be able to compete at a high level in the field. 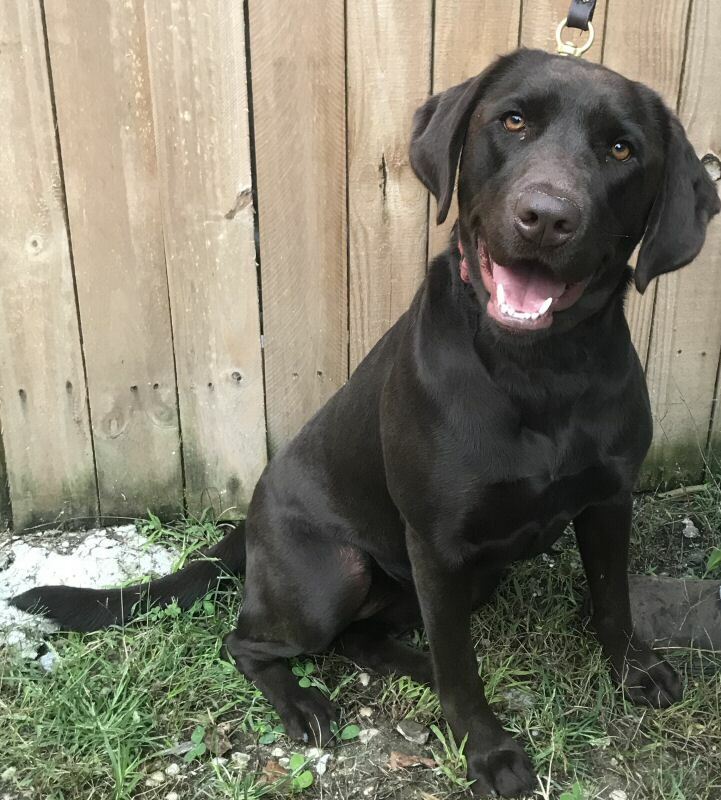 (click for large picture) Ryelee is our 2 year old black lab. 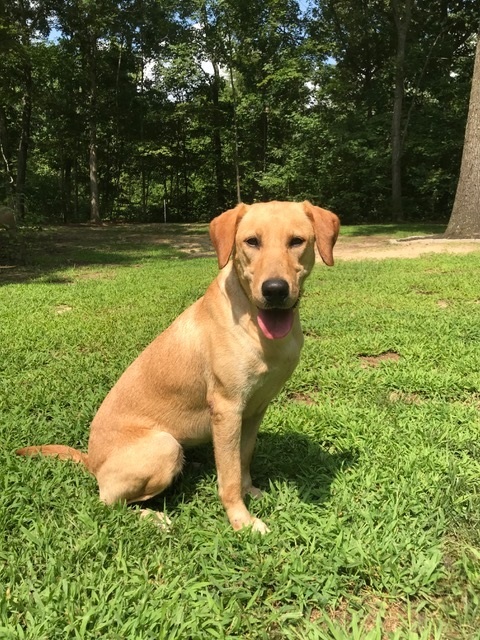 She is a smaller lab who is light and quick on her feet. She loves being around people and is so manageable even a child can handle her. Ryelee has earned her Junior Hunter title and is currently working towards her Senior Hunter title. She is incredibly talented and smart. She comes from a phenomenal pedigree of nationally known dogs. So besides looking good, her pups should be extremely smart. See Rylee's complete files. Her pups should make great companions and also be able to compete at a high level in the field. 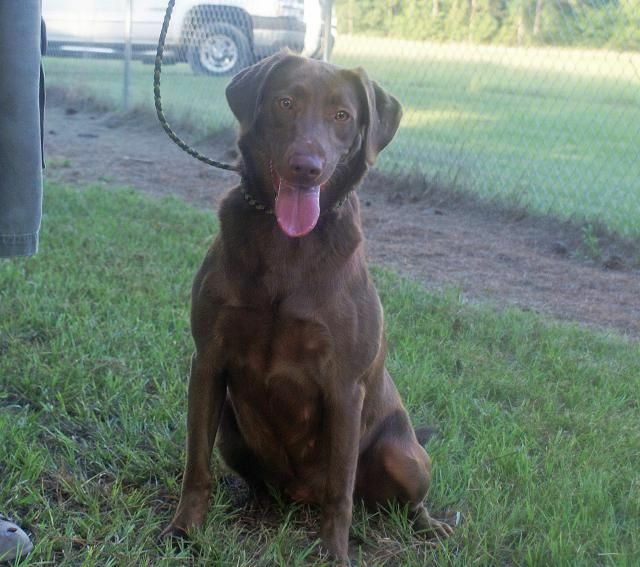 (click for large picture) Polly is a 60 Pound Chocolate female. She is another of the well bred dogs that we own. 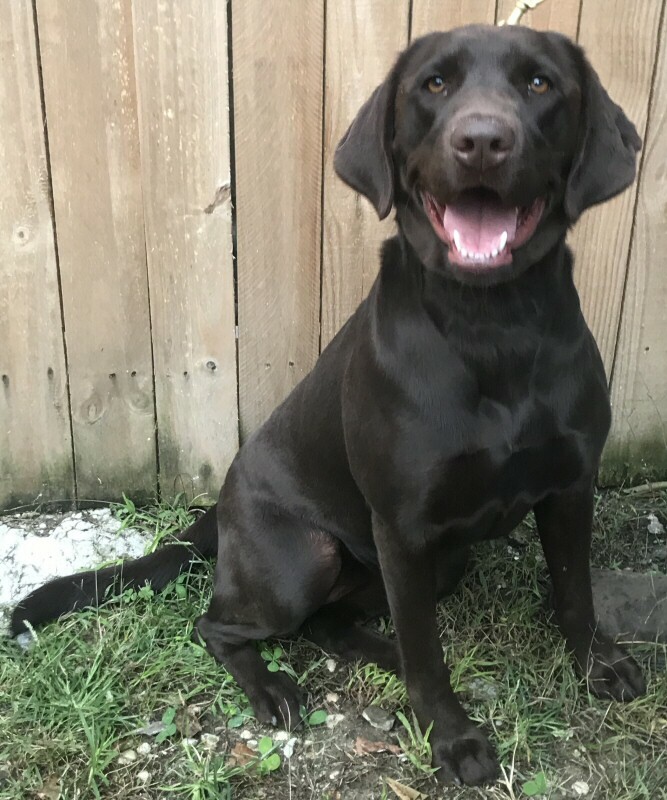 Her breeding and genetics would rival several of our females in the number of titles (brains) in her ancestry along with the number of good/excellent hip certifications of those dogs. With all this tremendous breeding behind her, she is still one of the friendliest dogs we own. Polly is very intelligent, easy to train and loves being around people. Her hips are OFA Good, Elbows OFA Normal, Eyes OFA Normal, she is DNA tested Clear for the EIC and CNM. SEE POLLY'S COMPLETE FILE HERE. Her pups should make great companions and also be able to compete at high levels in competition if you desire to go that way.